The American people have made it perfectly clear what we want to be done with the DACA recipients so why do these elected officials continue to go against the wishes of those of us who put them into office? And here we have Mitch McConnell, a so-called Republican, giving the Democrats all the leeway he can afford, all the leeway they want when it comes to these dealings. How is he still in the position he’s in after this? I’ve been seeing some pleasantly shocked responses (or at least expressions of puzzlement) from mainstream journalists over Mitch McConnell’s plans for bringing a DACA bill to the floor for debate. Unlike his normal, carefully calculated approach, the Senate Majority Leader is offering up a free-for-all where everyone, Democrats included, will be able to bring up their own amendments for debate and a vote. The way things stand now, as Politico reported this morning, nobody really knows what’s going to be in the bill. And as far as Chuck Schumer’s caucus is concerned, that’s a good thing. Mitch McConnell is taking the reins of an immigration debate that may prompt a fix for “Dreamers” — or quickly spiral out of control. Usually careful with his every move, the Senate majority leader is taking a gamble this week with his pledge for a free-for-all debate over the fate of hundreds of thousands of young undocumented immigrants. No one knows the GOP leader’s endgame, nor how he personally prefers the stalemate over Dreamers be resolved. 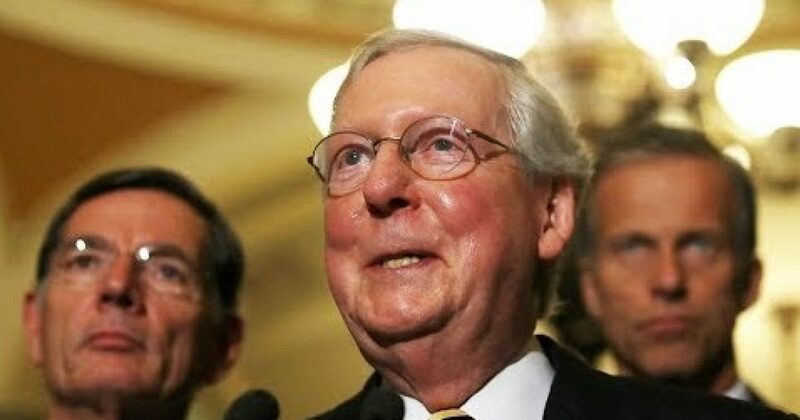 It’s highly unusual for a Senate majority leader, particularly one as calculating as McConnell, to bring a divisive issue to the floor with no clearly intended result in …..